Fresh lava oozes in Kapoho Beach Lots, expands south along shoreline. Fissure 8 continues to be very active, feeding the lava channel flowing into the ocean in Kapoho. Star-Advertiser. Fissure 8 Lava Flow is Expanding South. Hawaii Public Radio. At least two more homes in Kapoho Beach Lots are expected to be damaged or destroyed today. Tribune-Herald. Lt. Col. Charles Anthony, the voice and face of the state Department of Defense for nearly 24 years, is retiring and will become director of public affairs for Joint Base Pearl Harbor-Hickam. Star-Advertiser. Workers At Agency That Sent False Alert Were Seen Sleeping. Emails released by the Hawaii Emergency Management Agency also indicate concerns were voiced about how to cancel an alert. Associated Press. The Hawaii Emergency Management Agency is holding open houses to educate the public on its plans for disasters such as hurricanes, tsunamis, severe flooding, and wildfires. KHON2. The Trump administration has expanded its response to the April flooding on Kauai and Oahu to include federal disaster assistance for individuals. Star-Advertiser. People whose homes were damaged or destroyed in April's historic flooding disaster will now be able to receive federal help. Hawaii News Now. Supreme Court Deals A Major Blow To Public Sector Unions. The high court rules that unions can’t force nonmembers to pay membership dues, saying it violates the First Amendment. Civil Beat. Union leaders say they don't expect members to opt out after Supreme Court ruling. KHON2. Economists: Public Employee Union Membership Is Bound To Drop. Compulsory union dues are a thing of the past due to a U.S. Supreme Court ruling. But some say a pro-union culture in the islands will prevail. Civil Beat. The U.S. Supreme Court decision that government workers cannot be required to contribute to labor unions came as no surprise to the state’s largest union, the Hawaii Government Employees Association. Star-Advertiser. Political Intrigue: What This Consultant Is Doing In Hawaii Is A Mystery. Strategies 360 won’t reveal a single client or issue it’s supporting in the islands. But the company has assembled a stable of well-known local talent. Civil Beat. Republican gubernatorial contenders’ views differ in debate. If there is one thing that Andria Tupola and John Carroll agree on it’s that Gov. David Ige did a poor job handling Hawaii’s now infamous false missile alert. Star-Advertiser. 'Message of change': Republican candidates for governor square off in debate. Hawaii News Now. Office of Hawaiian Affairs Trustee Rowena Akana had vowed to fight ethics charges filed against her, and on Wednesday she did just that, filing a lawsuit that aims to block the effort. Star-Advertiser. The state ethics commission is now facing a new lawsuit from an Office of Hawaiian Affairs Trustee. Hawaii News Now. Are Hawaii's government computers ready for ransomware? IT departments wage a constant battle to keep cyber threats out, safeguarding sensitive information and preventing services from shutting down. KITV. 69 public schools offer free summer meals. But most kids don't claim them. Hawaii News Now. Hawaii pesticide ban. Chlorpyrifos is a pesticide that’s in wide use around the world; it’s legal in 49 US States, and its use was legal in Hawaii until a couple of weeks ago, when Hawaii became the first state in the nation to ban its use. Hawaii Public Radio. The Honolulu City Council Budget Committee on Wednesday advanced a resolution urging Honolulu’s rail board to seek a private partner to help build the final segment of the 20-mile transit line. Star-Advertiser. Honolulu City Council is considering a resolution designating Chinatown as a slum. It sounds ugly and negative, but it could bring federal help if it’s done. KITV. City leaders consider criminal charges for monster home violators. Hawaii News Now. Demand for prostitution increases in Honolulu while RIMPAC is in town. Honolulu becomes a home base to military members from 25 nations during RIMPAC, the Rim of the Pacific. KITV. Union kicks off hotel talks with rally. Organized labor took a beating on Wednesday in Washington, D.C., but you wouldn’t have known that by the show of force exhibited by the 1,500 Unite Here Local 5 hotel workers who kicked off bargaining talks with a rally Wednesday in Waikiki. Star-Advertiser. Teacher Training on Houseless Students Conducted. There are an estimated 300 children in Hawaii believed to be houseless. Hawaii Public Radio. Vietnam veterans to be recognized at Fort Shafter. Forty-six years ago this Friday, the 196th Light Infantry was the last U.S. Army combat brigade to leave Vietnam as part of the withdrawal from the war. Star-Advertiser. A Pearl City restaurant shuts down after roach infestation discovered. The Department of Health has issued a red placard to Buzz's Original Steakhouse in Pearl City. Hawaii News Now. Roach infestation shuts down popular Pearl City restaurant. KHON2. Walmart is hosting a celebration at 7:45 a.m. today to recognize the grand opening of the Hawaii Walmart Academy and the program’s inaugural graduating class. Star-Advertiser. Looting and squatting in vacant houses is a growing problem in some of the Puna neighborhoods that have been evacuated and closed off to the public because of the Kilauea eruption, according to area residents. Star-Advertiser. County mulls options for housing of lava evacuees as grassroots efforts continue. During public meetings in Pahoa, Hawaii County officials have mostly been vague about what a housing plan for those displaced by the Kilauea eruption might look like. Tribune-Herald. Ige’s comments create confusion over possible lava viewing site. Gov. David Ige said at a news conference Monday that a much-discussed lava viewing area might be built outside of the Puna district — comments that were clarified Wednesday by Ige’s staff. Tribune-Herald. 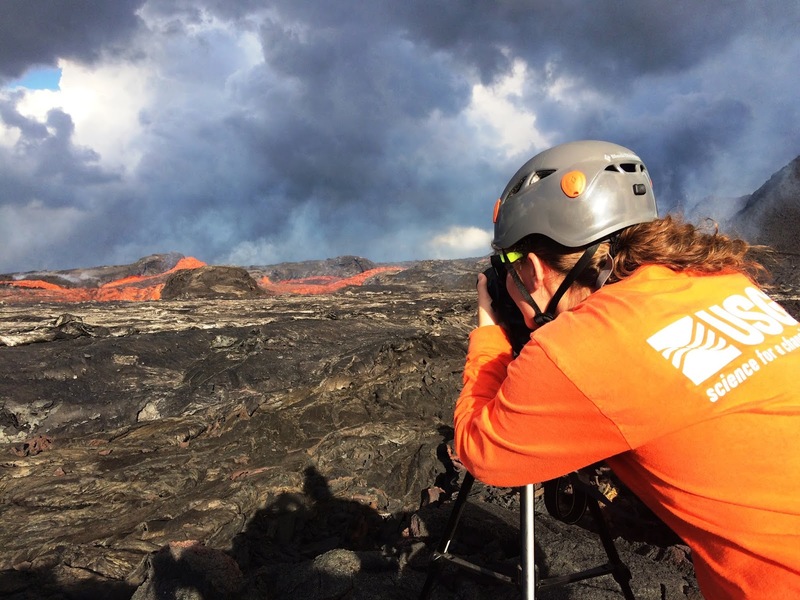 Ocean Robots Collect Data From Kilauea Flow. Big Island Now. Incredible video captures the rescue of stranded farm animals from isolation on the other side of the giant lava channel flowing in Puna. Big Island Video News. A bill authorizing the county to pick up abandoned vehicles on private roads soon will be back before the County Council after a unanimous endorsement Wednesday by the Environmental Management Commission. West Hawaii Today. “Love Activates” is the theme for Saturday’s Hawaii Island LGBTQ Pride Parade and Festival in Hilo. Tribune-Herald. Maui Fire Chief Jeffrey A. Murray retires on June 30th, 2018, after 10 years at the helm of the department. Maui Now. Maui Fire Department Chief Jeff Murray will retire Saturday after 29 years with the department. Star-Advertiser. Maui County’s abandoned vehicles staff does not see many major problems with a new state law requiring counties to remove and dispose of abandoned vehicles along public roads within 10 business days of being declared abandoned. Maui News. A new study includes two Maui locations on a top 10 list of the best ocean beach towns in the US. Maui Now. Two Hawaii beach towns crack top 10 in new national ranking. Pacific Business News. Maui County website lists legal vacation rental developments. Maui News. Biggest Local Election In A Generation. New political blood is assured as six candidates seek the mayorship and a whopping field of 24 seek posts on the County Council. Civil Beat. Counseling, unemployment assistance and a Disaster Relief Center are all coming to Kauai, courtesy of the Federal Emergency Management Agency. Garden Island. There was no shortage of heroes in the aftermath of the storm that dumped a record-breaking four feet of rain on Hanalei in April. Garden Island.